Paraf Informasi - Indonesia is not only famous for its ethnic and cultural diversity, it is also known for its many natural and beautiful sights. Almost most tourist destinations in Indonesia are created naturally by natural processes. Natural beauty of the natural that is the main attraction for domestic and foreign tourists. Indonesia as the largest archipelago country in the world has many unique, beautiful, and interesting sights to visit. You must enter the following places for your destination. Lombok is one of the most beautiful islands in Indonesia. Here there are beautiful beaches and beautiful. The atmosphere of the unspoiled beach makes your friend feel at home lingering for the beauty. In addition to the beach, Lombok also has Mount Rinjani tourist attractions. 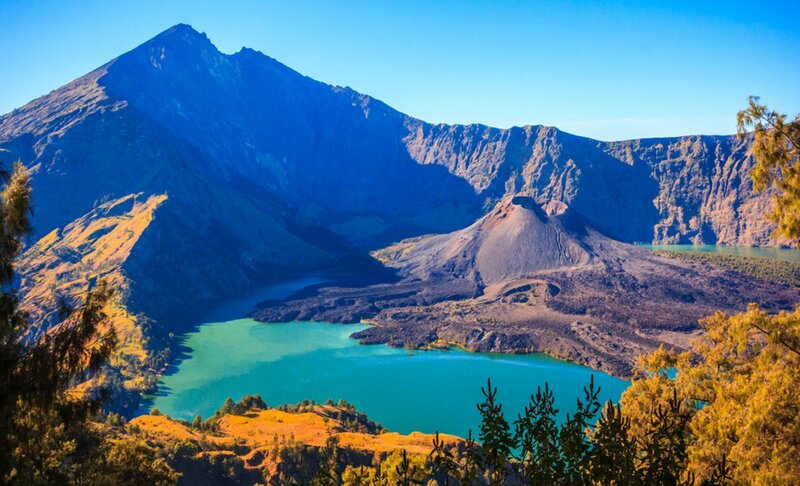 This Rinjani Mountain Tour becomes one of the favorite mountains for climbers. This mountain is called tracking tour with the most beautiful scenery in Southeast Asia. Spacious lake located at an altitude of 2000 Masl level to complement the beauty of Mount Rinjani on the island of Lombok. 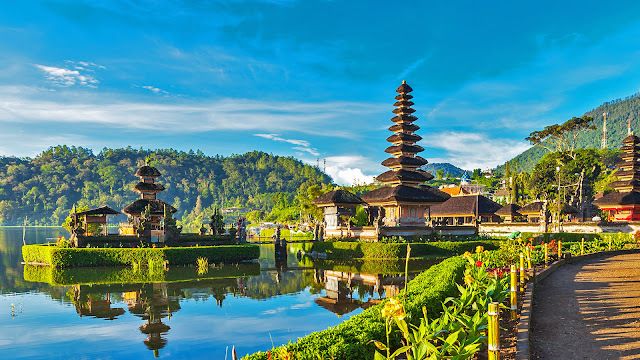 Bali Island or also known as the Island of the Gods included in the list of the most beautiful island in the world. In Bali there are complete and interesting tourist destinations. In addition to beautiful beaches and charming, here also presents the mountains with a green view that cools the eyes. Bali is an ideal place for a world class holiday. 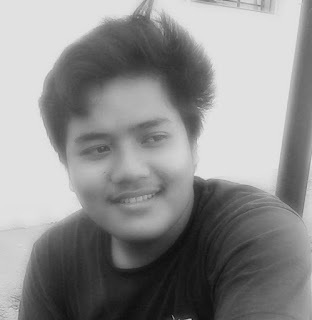 The more you explore the island, my friend will know more that Bali is a special island. 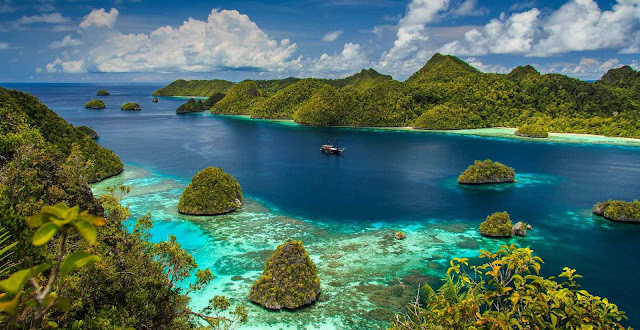 Raja Ampat became a dream destination for almost all traveling fans in Indonesia. The islands in West Papua make many people fall in love thanks to the beauty of the landscape. Buddy will find a cluster of islands with beautiful scenery as well as underwater world tourism that has a variety of biota. 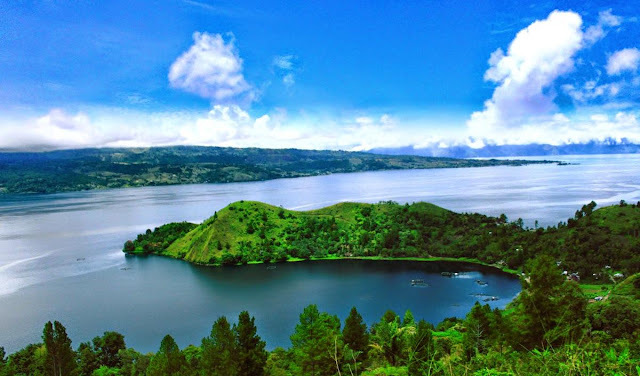 Lake Toba is a leading tourist destination in North Sumatra Province. This lake is a volcanic lake that bears the title as the largest lake in Southeast Asia. Buddy when standing on the edge of the lake will feel the sensation of standing on the edge of the ocean. In the middle of the lake there is an inhabited island of Samosir Island. Some of the sights above are highly recommended when my friend is going on vacation and enjoy the stunning natural beauty. Have a nice holiday buddy!